This phrase comes from one of the most popular verses in the Bible. 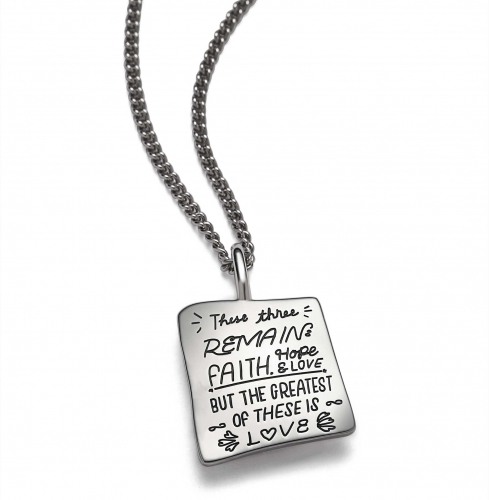 It reminds us to lean on faith, hang on to hope, and count on love – all kinds of love. Love. Always. Wins. The all-encompassing nature of love makes this necklace an appropriate gift for your SO, BFF, sister, mom…or even yourself!